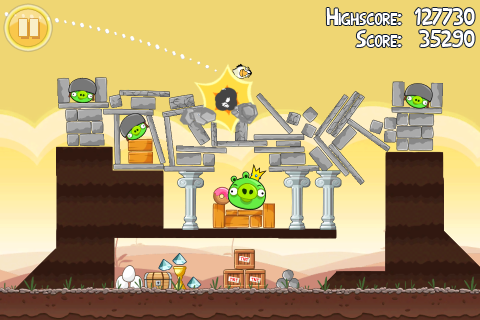 Rovio has announced that Angry Birds has been downloaded 500 million times. Yes, 500 MILLION. That’s like, HALF-A-BILLION. It was also available for free so that may have resulted in so much downloads. But it is an impressive figure. The game is being played 300 million minutes per day, Rovio says. It is one of the most successful games ever and they might even make cartoons out of this game. Earlier Rovio mentioned that they plan to milk this for 20 years, much like Mario. While it may or may not be sucessful, Rovio knows what to do with the game now. Do you like Angry Birds? Please tell us in the comments section below.